A few weeks have passed since the 2017 Global Forum on Human Resources for Health which has given some space to reflect on what we heard about gender at the event. Overall the prognosis is very positive: there was a strong contingent of ‘gender champions’ at the event, issues like women’s leadership were at the heart of one of the main framings of the conference, ‘decent work’, and the launch of the World Health Organization Hub on Gender and Equity created a buzz about this work and represents a promising step forward for the field. The week began with a moving and stirring event which was organised by Women in Global Health to enable health care workers to tell stories about their careers. Unsurprisingly, given most of the speakers were women, many of these stories uncovered the gendered realities of work on the frontline of health systems. This included having to deliver services in very insecure settings where the risk of ambush was high, being shot at, and being assaulted. Personal stories help us understand deep rooted power structures in the health system and how they can be transformed. The issue of gendered violence, raised here, was returned to later in the conference as a key concern. The voices of health care workers and their ability to speak truth to power are important mechanisms for honouring their service and pushing their concerns up the political agenda. Decent work was one of the main themes of the Forum and as such it was unsurprising that many of the gender sessions focused on this topic. Many speakers queried whether it was possible to carve out a decent work agenda if we don’t focus on gender. The topics raised included visibility, compensation, and accountability frameworks to ensure gender equity at work. Speakers pointed out that despite making up the majority of the health workforce women are under-valued, under-paid and make up less than 10% of the health leadership. The issue of decent work was also raised in relation to women’s unpaid care in the household and community health workers (who are sometimes volunteers and if paid are paid poorly). It was noted that because unpaid care is seen as women’s work community health workers have limited opportunities for progression and are employed precariously. 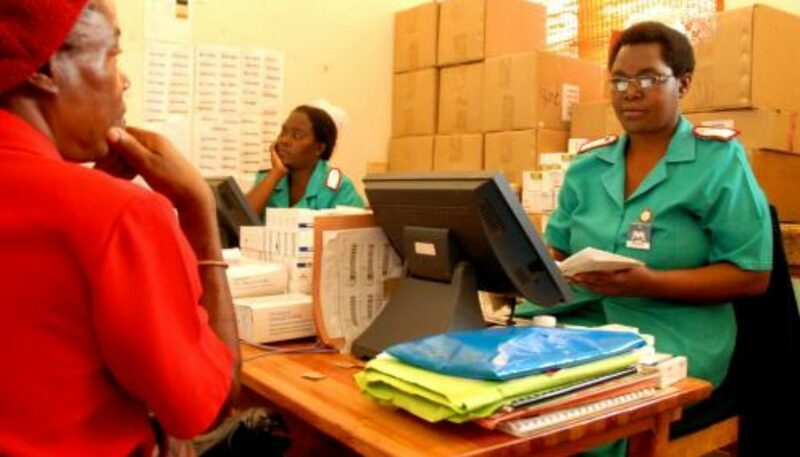 Overall, addressing ‘decent work’ was linked with addressing the currently indecent gender and power relationships within the health system – creating policies that are supportive, work environments that are enabling, and training structures that reflect women’s inputs and boost their possibilities. This is only possible with larger societal change which aims to alter the harmful norms and structures that underpin discrimination against women. Undoubtedly discussions about gender and health workers were given tremendous energy and vibrancy by the launch of the WHO Gender and Equity Hub on the first day of the Forum. This enabled likeminded delegates to come together to share evidence and experience which helped shape their interventions over the rest of the week. It was also a great opportunity to build a movement of solidarity across different stakeholders in the health system. It is warmly welcomed. While the Hub puts in place plans for a thorough mapping of stakeholders, initiatives, and evidence the meeting enabled us to identify some key themes that participants felt were crucial. Unsurprisingly equal pay, education and training, a decent working environment and equal leadership were prioritised. But also preventing discrimination (in particular violence and harassment in the workplace), social protection, and transforming our systems of unpaid care. There was also a focus on intersectionality – how different women’s experience are shaped by race, ethnicity, age, sexuality etc. – and how this must inform our strategies moving forward. This may require more contextually nuanced methods of gathering data (led by marginalised women themselves) and interventions that consider people of different genders as a heterogenous group with differing experiences, needs, and desires. As has been mentioned elsewhere, in conversations at the conference there was also an acknowledgement that gender is a men’s issue. For example, in the Gender and Equity Hub meeting there were discussions about the importance of not placing all the responsibility for creating gender equitable workplaces on women (e.g. assuming that increasing the number of female leaders will automatically achieve great gains, etc.) but recognizing that everyone perpetuates patriarchy and men must also be part of systemic change. The Forum’s focus on transforming policies and guidelines is laudable. However, sometimes there is a tension between gender equitable human resources for health policy/law and social realities. For example, in India the Community Health Worker programme aims to create safe spaces for ASHAs to share issues of violence they are dealing with. Yet the likelihood of this happening in such an under-resourced environment, without adequate support, is very low. Similarly, ASHAs are taught about the legal rights of those subject to domestic violence, but accessing justice or the financial resources to leave a violent situation is not very realistic in Indian villages. In the future we may need to consider how health systems can reconcile or maximize the benefit of gender-equitable policy in light of challenging ground realities and the slow pace of social change. The health sectors relationship with other areas of the state, for example the criminal justice system, needs further exploration and strengthening. With the momentum of health sector reform primarily being pushed by the Universal Health Coverage agenda we may need to better consider how a gender lens might alter the implementation and accountability mechanisms that are being proposed for this area. Finally, while the Forum was a great space to share emerging evidence on issues related to gender and human resources for health there are still large gaps in our knowledge – notably on community health workers, migration, and the changes that occur when men enter previously woman-dominated professions within the health workforce. Building the research base in a manner that captures and boosts the voices and concerns of health workers is key to remedying this. Acknowledgements: This blog draws on the notes recorded by Twitter users during the Forum, we are extremely grateful for their diligent engagement and rapporteuring skills. You can read a roundup of all commentary here. The photo that accompanies this blog is of Edith Thaulo head nurse of Tisungane Clinic at Zomba. It was taken by Travis Lupick.